On a commercial scale, each tower garden can produce 44 plants, ready in 2-3 weeks. The freshest produce, ready when you'd like. Grow year round, faster, more nutrient dense, with 90% less water and space. 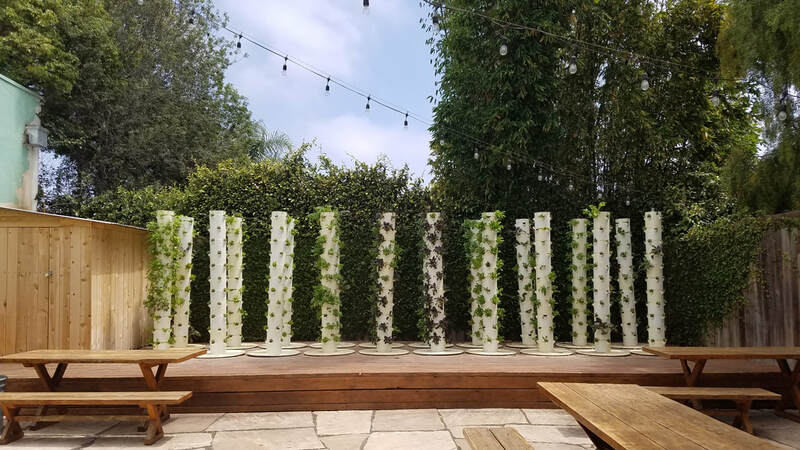 In 2-3 Weeks, each tower is ready to be harvested, either whole plant, or clipped and held in place for harvest in one to two more weeks. Depending on the plant, several harvests can occur within the same month, maximizing yield from each individual plant. An addition to the Tower Garden, growing 32 plants in the space of 8. Pictured is Siberian Kale, grown in only 2 weeks. Looking to Grow at Your Restaurant? Contact Us for More Information!